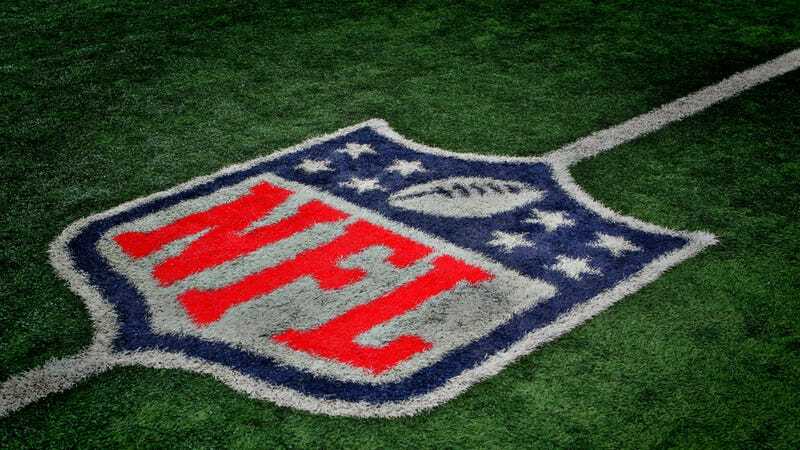 With the release of the NFL schedule, fans everywhere finally have the chance to see their team's 16-game slate, and work out probable final records. And yeah, look at those games; your team's going to the playoffs for sure. Ten wins will probably be enough for that, but 10-6 looks like the worst case scenario for your guys. More like 12-4 without any big injuries. Or, hell why not, if they take that big night game — you know how they get up for the nationally broadcast games — 13-3 isn't out of the discussion. Look at that list, and you can't find four teams that are definitely going to beat you. I mean, five wins minimum in the division. Minimum. No one else got better. And you got lucky; you're playing these guys early, so you'll have everyone healthy, not like last year. And figure maybe a split with those guys. You're not going to lose both games to them, not again. Opening day looks tough, I know. Your opponents surprised last year, and everyone says they're only supposed to get better. But not in your house, not in the first game, you're not losing that one. Oh, look who you get from the other conference. You can realistically beat every single one of those teams. Those guys had 12 wins last year, but that was a weak division. This other one could play you tough, yeah, but if your guys hold on to the football and limit their mistakes, they've got it. Huh, that one will be fun. Haven't played there since they got the new stadium, will love to see what it looks like on TV. Ooh, week 10. That's going to be tough, after how they humiliated you last season. You couldn't even listen to the drive-time guys the morning after that one. But let's chalk it up as a W this year, there's no way your guys come in so unprepared again. They're clearly the more talented team. This stretch, these four right here will be rough. Even you gotta admit there's no way they take all four. These two, figure they take one, lose one. This one will be some kind of clincher, so you know your guys be up for it. And hopefully those last guys will have locked things up and won't have anything to play for by then. Yeah, 13-3 is a legitimate projection. Your bye week is in the perfect place too. Right after the biggest cupcake game, so you can go into the break feeling good. But it's also late enough in the season that they won't be tired for those big games in weeks 16 and 17. Not that they won't clinch a playoff bye, and be able to rest their guys the last week. Not if everyone plays like they're capable of playing. Are 14 wins completely out of the question? Not really. In the playoffs, who knows. You'll worry about that when you get there, though it looks like you've got a lot of potential playoff teams on your schedule. Huh, you're not one of the Thanksgiving games. Can't remember the last time you were in a Thanksgiving game.